Look past JD Allen’s propulsiveness as a player and you’ll note that his melodic sense has always leaned toward the concise. Ballads may have seemed previously like tokens on the tenor saxophonist’s hard-driving and exploratory records, but a whole album of them is actually a natural fit for him. Love Stone, recorded with his longtime trio (bassist Gregg August and drummer Rudy Royston) and guitarist Liberty Ellman, finds him in his element even as he treads what for him has been a road less traveled. Some of Allen’s solos center on embellishments of the written themes. “Put on a Happy Face” and “Gone With the Wind” are all but Monkian in their resemblance to the original compositions. Nevertheless he finds ways of reshaping them; in “Put on a Happy Face,” for example, he stays behind the beat, sometimes extending into a rubato that finds him humorously running to catch up as lines end. August and Royston are as empathic with Allen as ever, the drummer’s taste exquisite and August submitting a fine, suspenseful solo on “You’re My Thrill.” Ellman, so often an experimenter, is here remarkably subtle and attuned—and his improvisation on “Come All Ye Fair and Tender Ladies” is sublime, the album’s zenith. 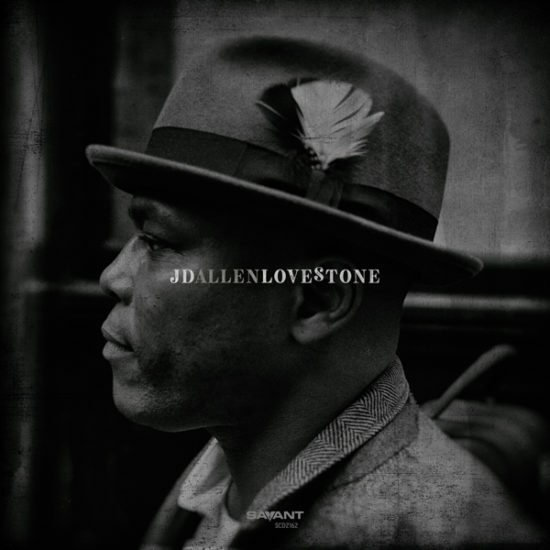 Love Stone is the trio’s second consecutive collaboration with Ellman (after 2017’s Radio Flyer); if this heralds an expansion to a quartet, it’s a terrific one. Preview, buy or download Love Stone on Amazon.